Discover how to make a technical writer resume perfect! 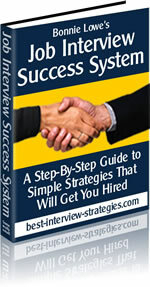 This article will guide you to resume success. If anyone in the entire universe ought to have a perfect resume, it's a technical writer. Tech writers are supposed to be expert writers and fanatically obsessed with technical accuracy and relevance. Does this describe your resume? A tech writing manager we know developed a 30-column spreadsheet to assess technical writing candidates. Three of the criteria are about resumes. Accurate and organized - as a document, a sample of your writing, is your resume scrupulously accurate, down to the smallest details, and organized in a clear and logical way? Is the writing really good, so that it grabs the reader's attention without relying on empty buzzwords? Did you format it so that it looks clean and neat? Remember that tech writing managers know how to look behind the scenes into your document - they can run spell checks, view nonprinting characters, and even see whether you wrote it on your home computer or at the office. Error-free - is your resume absolutely, without the smallest exception, free of typos, errors of fact, misspellings, and any other error that will proclaim to the reader, "I'm not as careful about checking things as I'd like you to think"? Proper tool use - Did you format your document using spaces and extra carriage returns? Or were you able to use styles and other features of your authoring tool effectively and efficiently, as a mark of a pro? Does your document contain evident use of advanced tool expertise, such as macros or protection, to show that you really know how to get the most out of the tool? Note that these are in addition to content. If the content of your resume shows no experience or aptitude for technical writing, never mind the above. The days when anyone who could open a Word file could get hired as a tech writer are, thankfully, gone. Now, a word about content: remember that your resume is your initial sales opportunity. So sell! Keeping in mind all of the above - including the scrupulously accurate part - make your words show what you can do, based on what you have done. "Updated a manual using Frame" doesn't tell a hiring manager much at all. Why not instead say what you did to overcome the challenges of that project to deliver your updates on time, on budget, to user acclaim, or whatever scrupulously accurate measures of success you can legitimately claim? Remember that the hiring manager, and even more so the HR person who does the initial resume screening, may have no idea what Frame is. So don't focus on the tools. Mention tools in their proper context, but focus on what you got done. Show measurable achievements where you can. Show that you understand the business or scientific context in which you worked. There's nothing more valuable, because this is a good indicator that you will understand a new business or scientific context if you get hired. Steve Schwarzman is a technical writing consultant with over 15 years of experience. Among the web sites he writes for are Tech Writing Jobs - a site devoted to tech writers and job searches, and Writers Book Mall, a site with resources for writers of all kinds.